If you need us to book hotel in Guangzhou for you, plesae feel free to contact us. We are the VIP customer of these hotels. Our price is cheaper than the price listed in any other websites like: booking.com, agoda, tripadvisor, ctrip, etc. 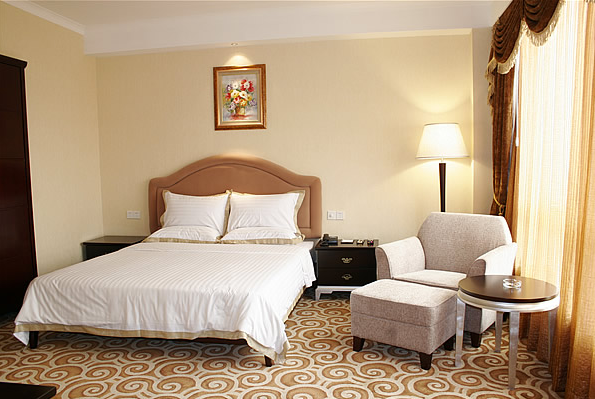 The hotel offers 100 luxury guest rooms, and a modern multifunction hall, which can hold 230 people at the same time. A restaurant serving various cuisines, coffee shop, bar, and a business & leisure lobby, add to the atmosphere of comfort and service. It is an excellent choice for travel or business in Guangzhou. For entertainment, there is a fitness center, indoor swimming pool, international standard multifunctional court, badminton field, chess room, KTV, and night club. One can thoroughly relax in this hotel. Newly opened in 2004, welcome to Regal Riviera Hotel Guangzhou! The hotel offers guests a warm and pleasant stay. Dong Fang Hotel is a five-star hotel which is famous for it’s beautiful garden scenery and Chinese traditional style. 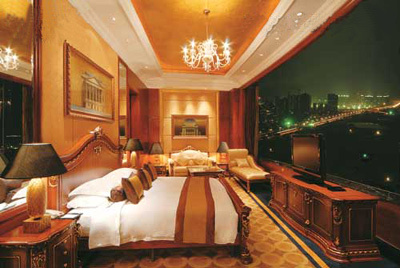 As the first hotel listing stocks in Guangzhou, it is well equipped for travel and business. Located in the heart of the city and opposite the Canton Fair Liuhua Complex, the hotel is only 1 kilometer form the railway station and 6 kilometer from the airport. Dong Fang Hotel covers an area of 6000 square meters, including a 10,000 sqms central garden, with the picturesque surroundings and breath-taking scenery. The hotel features 1,100 deluxe guestrooms and excutive suites and a multi-function international convention center. Over 40 banquet halls and dining rooms, coffee shops and bars, seating 3,000 people, provide the Chinese cuisines of Guangdong, Chaozhou, Sichuan, Yangzhou , Shandong and other flavors as well as Western food. The Dong Fang Hotel is opposite the Canton Fair Center(Liuhua complex). The hotel is easily accessible, only 1 kilometer form the railway station and 40 kilometers from the airport. One of the few 5-star hotels and the only internationally managed 5-star hotel in Guangzhou, China Hotel, A Marriott Hotel is Marriott Internationals flagship hotel in this dynamic metropolis. A driving force in the transformation of the city and Southern China over the past twenty years, the hotel now plays a pivotal role in the business life of a vibrant local community. Completely updated China Hotel, A Marriott Hotel enjoys the prime location in the heart of Guangzhou, close to the railway station, directly opposite the China Trade Exhibition Centre, and en route to Baiyun International Airport. The hotel is also served by the (yuexiu) Metro station exit, the only hotel in Guangzhou so close to the Metro. China Hotel, A Marriott Hotel offers 1,013 rooms and suites at nine levels of exllence ranging from business rooms to presidential suites. Rooms have been specially designed to be both elegant and functional, in a thoroughly contemporary style combining traditional Chinese elements and the latest technology. Guests experience a traditional welcome and all the comforts of home but with all the necessary cyber facilities to enable you to conduct business away from your home base. China Hotel, A Marriott Hotel also values and cares for female traveling alone and offers a special package to make a female exeutives stay especially comfortable. Renowned for culinary excllence, our award-winning chef exeeds each and every connoisseurs expectations. The Roof Restaurant and Bar and the Four Seasons ranked the Guangzhou “Top 100 Restaurant” list 2005. In Guangzhou, it can only be China Hotel, A Marriott Hotel. Ray star Hotel, which is suited between Huangpu Road and Zhongshan Road, enjoys a convenient transportation system by linking Guangyuan Freeway to the north, It also shares the neighborhood with Guangzhou International Convention and Exhibition Center on opposite side of Pearl River for 5 only minutes by driving.within easy access to the Science City, Grand World Scenic Park, Space Flight Spectacles, Olympic Sport Center and Tianhe Software Mega. Ray star Hotel is a standard four-star hotel (opened on 1th October 2005) with a combination of accommodation, dining, leisure and entertainment facilities. We have 110 comfortable, save, and deluxe rooms on service, which are divided into standard Double Room, Superior Double Room, Deluxe Double Room, Deluxe Single Room and Deluxe Suite. All kinds of facilities such as central air condition, electronic door, free internet access, safe and refrigerator are available. And we also offer business computers specially for Deluxe Rooms. Other facilities including Chinese restaurant chain (The First Soup Restaurant), Full Leg Scrub and Massage, Bar, Supermarket and Commercial Center, ect are ready for your arrival. We also offer multifunctional conference rooms which can hold 50 to 200 guests. 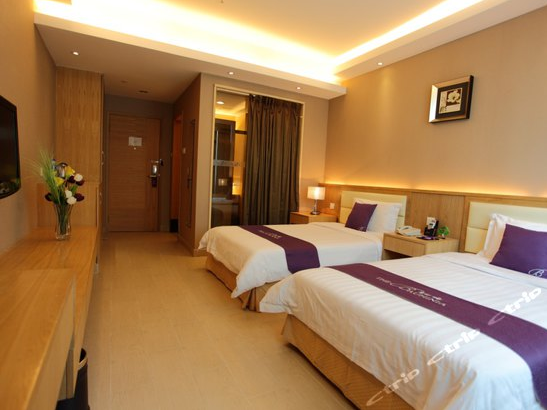 Jianghe Hotel is situated at 31 Tianshou Road, Tianhe District, Guangzhou, very close to the East Railway Station, the Tianhe Sports Center and the CITIC Plaza; adjacent to the Tiahe Shopping Center, he Tianhe Computer and the Grandview Plaza; within about 8 minutes�� drive from the Pazhou GECF Hall, the Liuhua GECF Hall and the Railway Station. The hotel has luxurious decoration and a quiet environment, being a good place for business, tourism, meeting and vacationing. The hotel is newly decorated up to the four- star level and owns over100 business, tourist and conference suites, each provided with cooling/heating central air-conditioning, Integral sauna, domestic and international direct telephone, satellite closed-circuit TV, broadband Internet access system and recreational facilities. It is a unique business and tourist hotel in Guangzhou. ��The hotel building is provided with many amenities, such as large indoor car park ,mall, leisure clubhouse, beauty salon, swimming pool, as well as business offices of all walks, an ideal place to make a fortune and seek for a success. Jiandhe Hotel serves as an ideal accommodation for you on business and sightseeing. The YIHE HOTEL OUZHUANG is original OCEAN PLAZA. 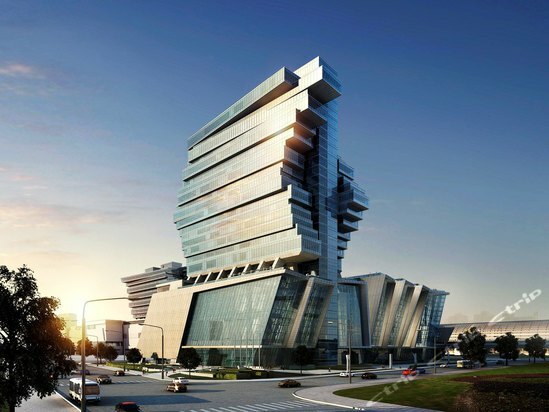 It is a multifunctional building which concentrates on business, living, office, lordly located at the east huanshi road, which is known as the “central district” of Guangzhou. And it is a golden section where is the finance shopping and commercial center and the pivot of the transportation and network. The style of hotel’s design is perfect and comfortable. All the facilities and services are five-star hotel standard. The more than 260 elegantly furnished guest rooms have different categories; standard room, deluxe room, suite with one bedroom, deluxe suite two bedrooms, deluxe suite with three bedrooms, all the rooms and apartments have broadband networks. The pretty decoration, good service, low consumption, convenient transportation and network could meet all your needs. It is the best place for business, touring, vacation and meeting, the hotel owns the modern facilities: Chinese & western restaurant, meeting room, office, outdoor swimming pool, caf, night club, sauna, automatic car parking system imported from Germany and we also provide you such as ticket reservation, sightseeing, taxi service, laundry service, room service and so on. You are welcome to our hotel and our goal is to provide first-class service to meet your satisfaction! The Wa King Town Hotel is a total 260 rooms including deluxe suite rooms, excutive rooms, deluxe rooms and standard rooms with free internet entrance, VOD TV, business buffet and the hotel exclusive characteristic service. All that will let you feel comfortable and convenient.The Universal Hall, Tiger Hall and Peacock Hall are deluxe, elegant and uncommon style. Our seafood is very cheaper as that in the super market. We fuse the prime of Chinese various cuisines. You can fell the soul the Chinese food. There are Golden Hall, Silver Conference Centre and other all kind conference rooms, which can accommodate 50-500 peoples. All the conference rooms equipped with modern over-head projector, slide projector, electronic white board, internet and multimedia equipment. It is the best place for various exhibitions, conference, cocktail, banquets and feasts. The hotel has various entertainment facilities. Aborative designed Relaxation and Health protection Centre in the hotel garden, in which just like enjoy yourself in the nature, fresh air and free bird relax you. We integrate modern iatrology with Chinese traditional medical science. It is good place to relax yourself and protect your health. The good-sized park can accommodate over 200 cars, it is the best place for the large-scale machine exhibition. Accessorial facilities such as the lobby coffee house, music bar, beauty salon, lobby shop, ticket centre, gymnasium and poolroom bring relaxation and comfort to you. Invested by Yutong Construction Group Co. Ltd, Yong Hotel is a four-start commercial hotel offering accommodation, catering, recreation and meeting service and facility. The hotel locates in the city’s new downtown, next to he government and shopping center. Railway Station, International Conference Center and the city’s CBD are all in the area. It’s only 30 minutes’ ride from the hotel to Guangzhou Baiyun International Airport, Southern China’s communication center. The airport express bus is conveniently available for the guests staying with us. We ensure you will experience the international level’s service and management. The 268 guestrooms/suits are specially designed for the business travelers. Executive Floor and Non-smoking Floor are especially set to meet business travelers?demands. The Executive reception, Business Center, Executive Lounge and conference room are all ready to offer service and convenience for your staying. With international standards and services, the EURO ASIA HOTEL is a commercial hotel with four-star standard. Comfortable and economic, the Hotel is located in the commercial center of Guangzhou City, 5 minutes from the Railway Station, 25 minutes from the Baiyun International Airport and 15 minutes from the China Import and Export Fair Pazhou Complex. Adjacent to the beautiful and green Guangzhou Zoo, the Eurasian Hotel has more than 250 elegant guest rooms, three large and small conference rooms and a western cafeteria–a delightful combination of western and Asian cultures. GuangZhou IT WORLD HOTEL offers4-star comfort,design and information technology convenience.Easily accessible from all main traffic arteries in downtown Guang Zhou and only 10mins from Shenzhen-Kongkong Train Station. The Hotel offers modern facilities for meetings,conferences and business gatherings of all kinds.Both business travelers and vacatoners will be able to enjoy the full range of services offered by the Hotel. The quiet and elegant guest rooms are fully equipped with multiple satellite TV channels and high-speed broad band internet access.Especially in the excutive floor all rooms are equipped with computer through with you can use internet,VOD&get hotel or city information. The all-round services enable you to have an exceptional feeling of pride.